It was a cold midnight: New Year’s Eve. 2017 had been a harsh year for many, and while some were (and still are) pessimistic about 2018, millions of people across California were optimistic about a sweeping change that was decided upon in 2016. The thousands of people staying out in the cold night were anticipating getting their hands on a controversial drug: recreational marijuana. California’s legal history with cannabis can be traced all the way back to the 1970s with Proposition 19 – the nation’s first ballot initiative that aimed to legalize cannabis. While Prop' 19 was unsuccessful, California was still the first state to legalize medical marijuana in 1996. Fast forward twenty years, and now it’s legal for anyone in California over the age of twenty-one, or carrying a valid medical card, to obtain. So what’s the big deal with marijuana and making it legal? How does legalization work? What’s important to know about buying and selling cannabis? It’s quite simple – starting January 1, 2018, anyone over the age of twenty-one can walk into a marijuana dispensary (more on these later), buy up to a gram of marijuana, and walk out without needing to worry about being arrested by state law enforcement. Simple as that. Of course, you can’t smoke it in public as it can affect others, including children and those who are allergic. Why make it legal? First, numerous studies show that cannabis can be used to treat the pain and side effects of diseases, medications and mental issues. THC, the main psychoactive in marijuana, creates a sense of euphoria, relaxation, creativity and wellbeing. Some strains are specifically designed to reduce or eliminate depression or anxiety, while others are used to combat nausea and deep aches. Post-surgery patients, when offered cannabis or opioids, chose cannabis more frequently to deal with their chronic pain. The second big reason for legalizing marijuana is that it’s a cash crop. As Colorado has shown, taxing marijuana sales results in hundreds of millions – or even billions – of dollars in money for the state. Because of California’s much larger population, the revenue generated from legalization is expected to be around $3.7 billion in 2018 alone, and could rise to over $5 billion in 2019. Combine that with an expected increase in jobs at farms and dispensaries, and the Golden state is poised to become the largest market for recreational cannabis in the world. Not all aspects of legalization have gone smoothly, though. Proposition 64, the ballot initiative that legalized recreational marijuana, leaves some things to be desired by smaller growers and businesses. It removes the limit on acreage, or how many acres companies are allowed to own for cannabis growth. There are fears among the smaller marijuana businesses that removing such a limit will allow for the creation of a “Walmart” version of cannabis – a marijuana company that buys and owns hundreds or thousands of acres of land, and drives smaller cannabis dispensaries out of business. The tax on marijuana sales is quite high as well, causing ire among buyers and sellers alike. Currently, several taxes are applied to each purchase of an ounce of marijuana, depending on the location: the state sales tax, a state excise tax, and a county tax. These taxes can range anywhere from 15-35% – quite a large percentage. For a single ounce, this could raise the price from $50 to $67 or more. Compound that with a growing lack of supply due to licensing requirements and other potential factors, and prices for marijuana could rise dramatically until tax rates become more balanced over the course of the next few years. So how does one get cannabis? As stated, you can pretty much walk into any dispensary, order cannabis, and leave. There are a few catches that you’ll want to keep an eye out for. First, you must be twenty-one or over, or have a valid medical marijuana card to enter a dispensary, purchase marijuana, or both. 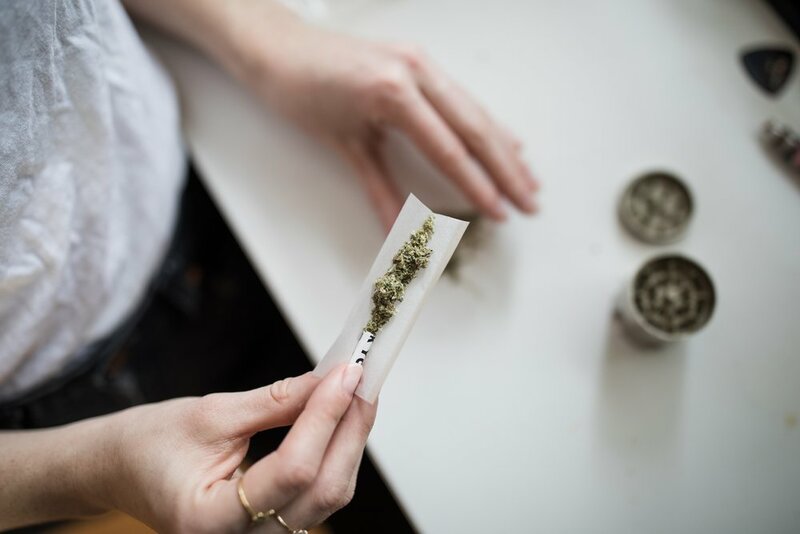 Getting a medical marijuana card is easy, and it comes with some benefits – such as an increase in the amount of marijuana you can have on you at one time – but the store will want to see it. If you don’t have a “med card,” you must comply with the limit of one ounce per person. Second, you’ll need to bring your ID to a majority of dispensaries. When I went to a dispensary a couple of weekends ago, I had my ID checked twice – once by the bouncer outside, to make sure I wasn’t faking anything, and once more inside so I could be “registered” and browse the shop. After that I was allowed to explore the store (without touching anything of course) and by the end of it I’d bought a gram of weed. Overall, California is set to become a titan in the cannabis industry. It’s uncertain how far the federal government will go to clamp down on states that have legalized marijuana. Regardless, many Californians have made the decision to sit back, relax, and enjoy a recreational drug without significant legal repercussions from state agencies.